Toyota Tundra ticks all the boxes for almost the buyers looking for a reliable full-size pickup truck. Stylish look, great towing capacity, spacious interior, comfortable ride, and remarkable off-road performance – these are some of the attributes truck buyers can look forward to in the Tundra. If your budget doesn’t allow you to buy a brand new Tundra, you can always go for a pre-owned model from the salvage vehicles for sale listed at SalvageBid.com. 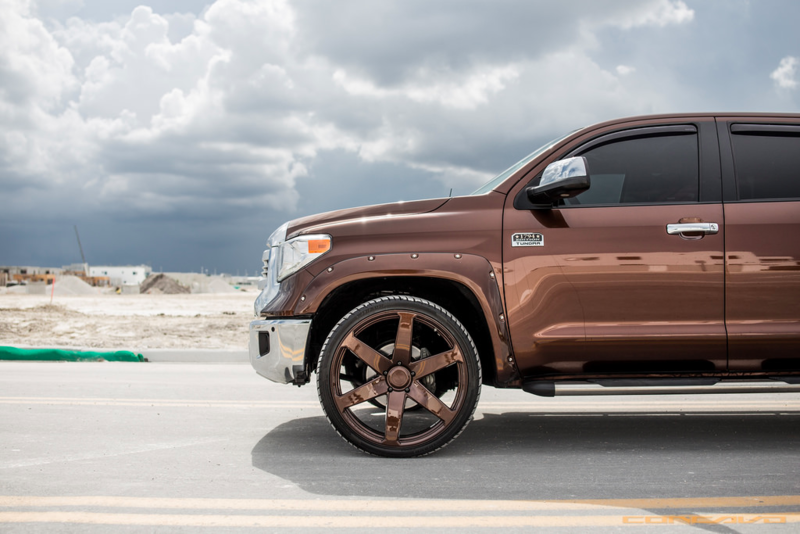 If, however, you are yet to make up your mind, we present five reasons why Toyota Tundra deserves to be your next truck. Take a look. Toyota Tundra was voted the “Most Dependable Large Pickup Truck” for 7 years in a row by the Vehicle Dependability Studies, J.D. Power, for reporting the lowest number of issues among 100 large pickups. We need not say much about the credibility of the manufacturer that was ranked number one in terms of customer satisfaction by the American Customer Satisfaction Index. Unless you run out of gas or the battery gives up, expect the Tundra to keep going on without any complaints. The truck also entails a modest annual maintenance cost, averaging between $427 and $522. Another reason to buy this pickup truck is its remarkable towing and hauling capacity. The Tundra models from the second and third generations come in two engine options; a 4.6-liter V8 that produces 310 horsepower and 327 pound-feet of torque, and capable of towing up to 6,800 pounds, and a 5.7-liter V8 engine that produces 381 horsepower and 401 pound-feet of torque with a towing capacity of up to 10,500 pounds. The 5.7-liter engine is designed for heavy work and off-road adventures. Buying a vehicle is a major expense, but vehicles such as the Tundra make it more of an “investment”. With an exceptional reputation for glitch-free performance and durability, the Tundra is always in high demand. The market value of most trucks depreciate by up to half within a year or two, but not Tundra. According to Kelly Blue Book, the 2016 Tundra is the “first full-size pickup truck to retain 64.1 percent of its value even after 36 months” and “53.8 percent after 60 months”! The Toyota Tundra has a spacious and comfortable cabin that can easily seat up to six passengers. Available in two variants: CrewMax and Double Cab, the truck has comfortable seats that give it an edge over most full-sized pickup trucks available on the market. Both driver and passengers get ample legroom and even tall people can easily get in and out of the vehicle. The interiors come loaded with an array of standard features such as a push-button start system, Entune infotainment system with a 6.1” touchscreen and 6 speakers, a rearview camera, and Bluetooth and USB connectivity. Tundra has not only received high safety ratings from agencies such as Insurance Institute for Highway Safety (IIHS) and the National Highway Traffic Safety Administration (NHTSA), but its ride quality is also amazing. For instance, the solid suspension system in the 2018 4WD model provides a smooth ride. It absorbs any bump the truck might encounter on its path. The truck handles well irrespective of the type of surface. Bilstein Shocks and anti-sway bars enhance the ride quality in the TRD Sport model. Bring Home the Tundra, Today! Toyota Tundra is an excellent choice if you are looking for a powerful off-road truck that can double up as a family car, packaging a perfect blend of style, comfort, and power. If buying a new Tundra is not financially feasible, you can always pick one from the online auction cars for sale listed at SalvageBid.com. If you have any questions about our online auctions or the vehicles listed with us, simply call +1 (360) 347-1300 or fill out our contact form.